Second post today. 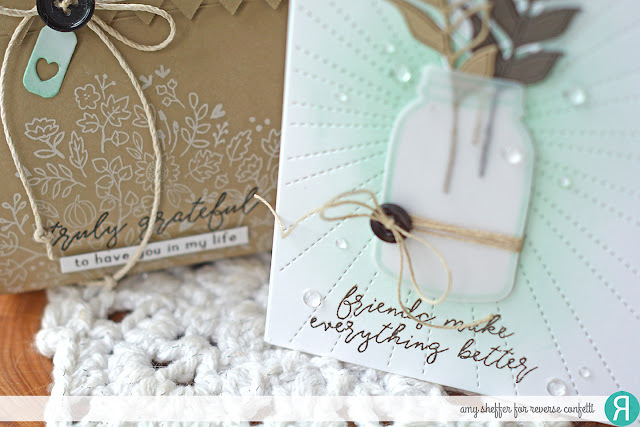 Scroll down or click HERE for Papertrey Ink's September Release Countdown - Dashing Through the Snow Collection. I'm on the Reverse Confetti blog today kicking off a brand-new Confetti Camera theme: For A Friend. This round, we'll be focusing on card and gift ensembles for a friend. What is Confetti Camera? Each week, one of the Confetti Crew designers takes a turn interpreting the theme. Today is my turn!